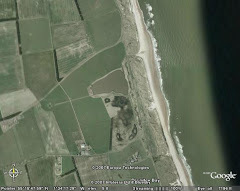 It's been a bit quiet at Druridge so I've not had much to write about. We spent a long weekend in late July in Cambridgeshire exploring the fens, looking for dragonflies and butterflies. 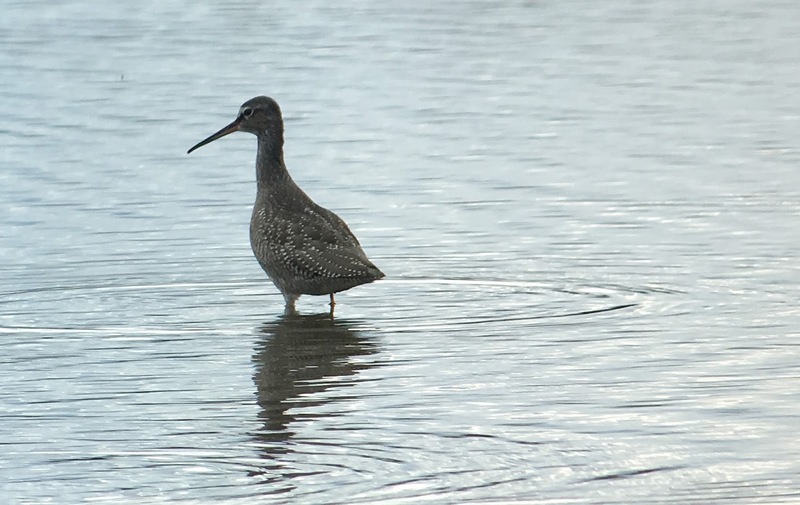 Waders have been a bit of a highlight this week with wood sandpipers, green sandpipers and a nice juvenile spotted redshank on the Budge fields along with plenty of snipe, dunlin and redshank. They can be very frustrating to see because of the rush cover. The birds were still present this morning with at least two of each of green and wood sands. We put some nets up this morning for a ringing session. We had a steady morning catching 30 birds in only three nets. 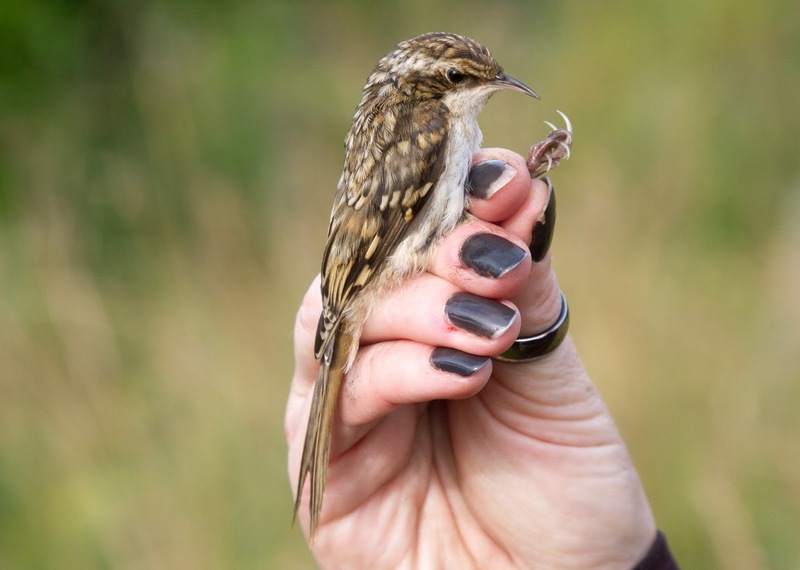 Warblers formed the majority of the catch, with 18 of the 30 being willow warblers and all but four of these were juveniles. 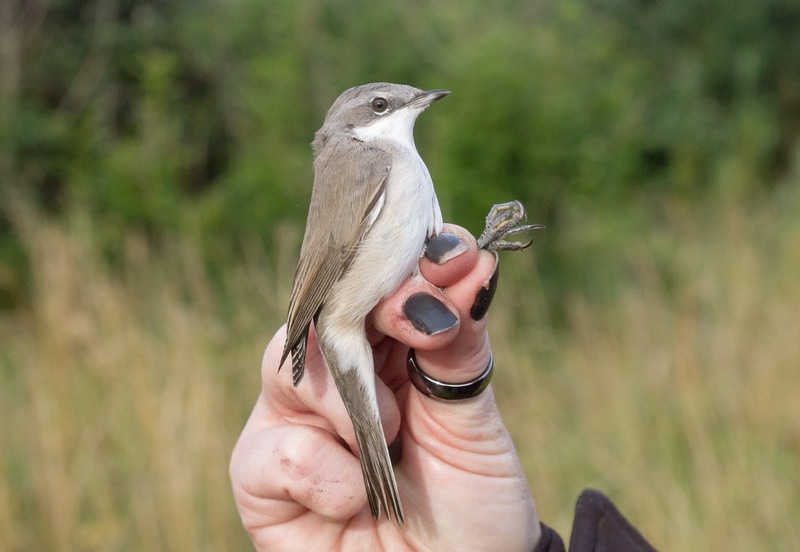 We caught two scarcities for the patch - a lesser whitethroat which is barely an annual here and even more rare - a treecreeper! Only our fourth for the site, the last being in 2012 and previously in 2011 and 2008. As neither of these species breed at Druridge, it is nice evidence that local breeders are on the move already - post juvenile dispersal. Lastly, some sad news. In my last post I mentioned checking the egret nests. Well, there were three occupied nests and a fourth that was a probable. Sadly none of the chicks fledged, probably victims of the heavy deluges of rain we had whilst hey were still in the nests. The nests aren't substantial and are open to the sky, so the prolonged and heavy rain we had probably did for them.